bit.inc is an investment fund backed by btcsmokeshop.com a company specialising in selling tobacco products for BTC. 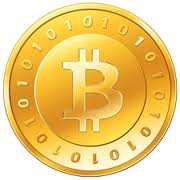 bit.inc is an investment fund with holdings in silver, BTC and USD as well as mining. The smoke shop website is currently looking for a new web developer currently the website is barely functioning. Once a developer has been hired the fund manager says he has several other projects on the horizon. bit.inc shares were first listed on GLBSE in October 2011 at 0.2BTC per share there current price is 0.175BTC per share. They did a test dividend payment in January and are looking at paying a full dividend February 26th 2011. Following dividends will be paid on the last Sunday of every month. The shares had a recent thirty day trading of 185 shares valued at 18.88BTC. They are looking at paying their first dividend soon. They are also looking at expending into several new projects that will deliver consumer goods, gaming financials and more.